You have decided to motorize your gate? This is an excellent decision as it will make your daily life easier. All you need is a remote control to open and close your gate. But, what about your family members don’t have a portal remote control? They will of course have to open the gate manually. But to make their task easier and at the same time ensure your safety, here are some options that will allow them to open the motorized gate without remote control. The key lock is certainly an old and basic system. However, it is a simple solution that will allow your children to open the portal safely and without problems. Especially since this will not prevent you from motorizing your gate. In short, to install a key lock on your gate, you simply need to attach a cylinder. Such a long range wireless remote system can be used on any type gate (swing or sliding) and it will also be very useful in the event of a power cut. If you don’t like traditional solutions like key locks, then the keypad will certainly interest you. Like the latter, it also allows opening the electric gate without remote control. Also called digicode, this option is simple to set up and also to use. It consists in particular of a box composed of several digits and on which the user will have to type a 4-digit code to unlock the gate. In addition to being practical and comfortable to use, this solution also offers the advantage of being reliable and efficient. How about a smart portal? Finally, there are also other more technological solutions for opening an electric gate without remote control switch. They are numerous, but among the most used, we can quote the applications for smart phone and tablet. 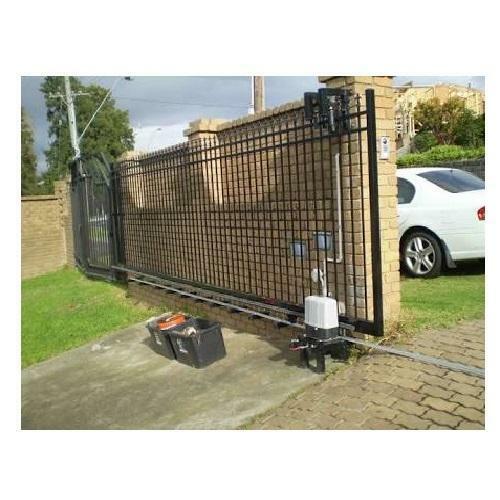 Once installed on the mobile device, these dedicated applications offer users the possibility to remotely control the operation of their motorized gate. In addition to allowing them to open the gate, other attractive options are also offered to ensure comfortable use of the equipment. Unfortunately, only a few engine manufacturers offer such a system these days.